University School SignsFrom the largest Universities to the smallest schools, Signdealz.com has been providing electrical and monument signs for years. Most institutions of higher learning need signs that last for decades and need the piece of mind that if they need service the sign company they choose will be there to help. 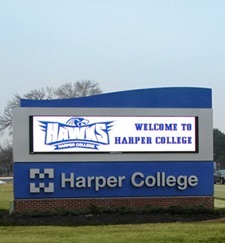 Signdealz has the capability to design, fabricate, and install your school or university sign. Signdealz specializes in electric, electronic, and architectural signs. Schools and Universities across Colorado are discovering the effectiveness of using LED message centers to communicate with parents, students and staff. Signdealz.com works closely with our education customers to develop a comprehensive communication strategy using LED technology. We not only work with you to design your sign, we provide software training and scheduled maintenance to ensure your sign works properly so you can get your message out reliably and effectively, every day. 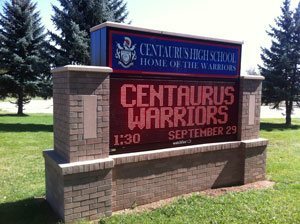 We service Colorado Schools with American Made Watchfire LED displays! Industry Leading Technology – We have partnered with Watchfire Signs to provide you with industry leading technology and support. We know how to work with your IT department. Unrivaled Product Knowledge – We are passionate about understanding the latest trends in the LED Sign industry. We provide our training complimentary with every LED Display we sell. No paying for training here! Customer Service – We don’t play games when it comes to customer service. Our focus is on delivering your sign on time and on budget with no surprises. Price – Our commitment is that you will get the highest quality LED sign for the best price possible. We will beat any competitors price on a display with the same capabilities. 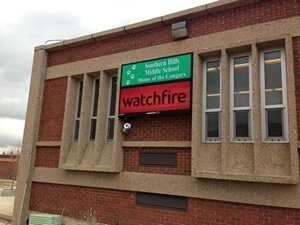 With Watchfire Signs, your getting a product that has set the industry standard for quality and durability. Signdealz.com has offered the highest quality signs across the country for over 40 years. Whether your message requires full color video, high definition grayscale photography, or simple monochrome messages, Signdealz.com offers a full line of long-lasting, high performance, energy-efficient outdoor LED displays to meet your specific communications and budgetary needs. 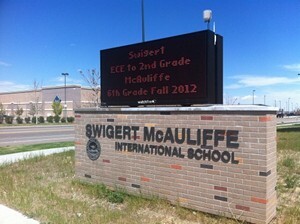 We have provided LED sign technology to school districts all across Colorado. These are just a few of the Public Institutions who have used Signdealz for their LED Signage and Digital Communication needs! Signdealz.com message centers come standard with control and message creation software and complimentary training. In order for a community college to run effectively, communication with the public is a key element. An electrical sign from Signdealz.com can help you do just that! 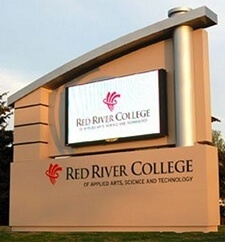 red_river_college_19mm-2Signdealz.com has been providing educational institutions with quality lighted signs for years! We specialize LED Message Boards, LED Displays, Lighted Cabinets, Channel Letters, Monument Signs, and much more! Our electrical signs are constructed from the highest-quality materials and UL-listed electrical components. When you purchase a sign from Signdealz.com, you’re getting a sign that will last for years! We also offer great service, fast turn-around times, and nation-wide service! Give Signdealz.com a call today, or fill out our web form! Trust the experts – trust Signdealz.com. college sign, electrical sign, campus sign, university sign, school signs, lighted school sign Universities rely on good communication between faculty and students to operate efficiently. Electrical signs from Signdealz.com can help! 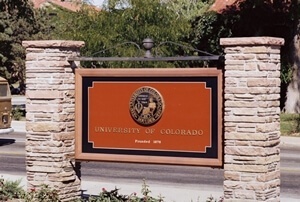 We have provided lighted and architectural signs to University of Colorado and Regis University. Whether it’s a notice about a schedule changes, a special event, or the next big game, an electrical sign from Signdealz.com allows you to reach the entire campus! 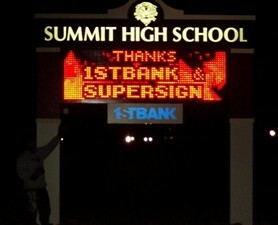 Signdealz.com has been providing educational institutions with quality electrical signs for decades! We specialize LED Message Boards, LED Displays, Lighted Cabinets, Channel Letters, Monument Signs, and much more! Our signs are constructed from the highest-quality materials and UL-listed electrical components. When you purchase a sign from Signdealz.com, you’re getting a great deal, great service, and a sign that will last for years!